First, let’s watch a video of 20W fiber laser marking machine laser marking cutting metal name card. Here Below Let’s take a look at a video of fiber laser marking engraving machine marking engraving on scissors. And here below let’s watch another video of fiber laser marking on painted plastic door handle with this 2ow fiber marking machine. 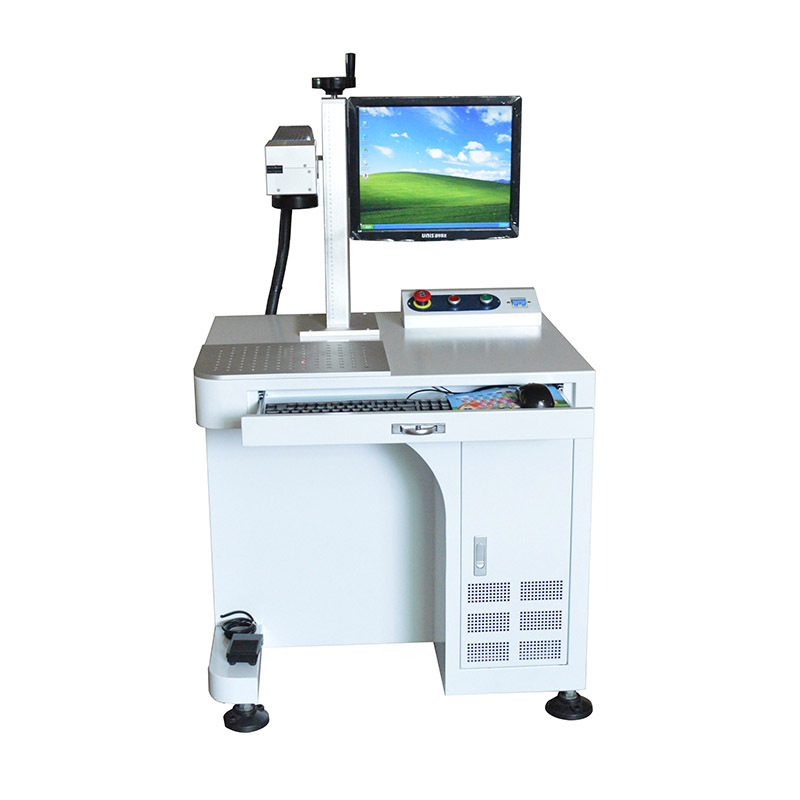 This model Fiber Laser Marking Machine MT-F20 delivers superior performance and reliability, and provides an industrial marking solution for product identification and traceability, and boasts of its fast marking speed, good marking effect, and high efficiency to meet the demand of mass production. This model 20W Fiber Laser Marking Machine also enjoys the advantages of easy operation, low running cost, long-term trouble-free working and free from maintenance. All these factors devote to its capacity to satisfy industrial production. Z-axis can max adjust up reach 500~700mm high, especially suitable for marking/printing thick and high materials. Shake hand wheel, laser focus distance can be adjusted easily. The operation is simple and convenient. EZCAD marking software, the powerful editing function, easy to use, can mark QR, serials no., different logo. Support DXF, PLT format graphs files. With detailed English user manual for every step introduction. High trans-missive AR coating is coated with the lens element surface to ensure minimal power loss and hence increase the throughput. 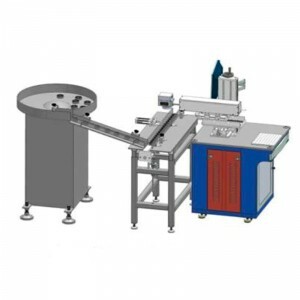 One-unit structure with a manually focusing system and user-friendly operation. Imported isolator for protection of the fiber laser generator to increase the stability and prolong the laser life. 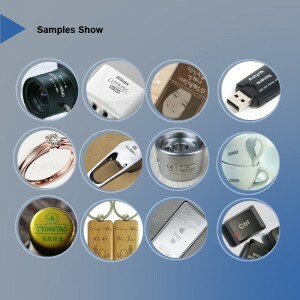 Laser beam quality is much better than the traditional laser marking machine. Fiber laser beam mode is TEM00; focus diameter is less than 20um; expanding angle is only 1/4 of the YAG-DP. Therefore it is esp. good at delicate marking. BMP; SHX OR TTF can be directly adopted; the functions such as auto coding for sequence No., group mark, date, barcode and so on. 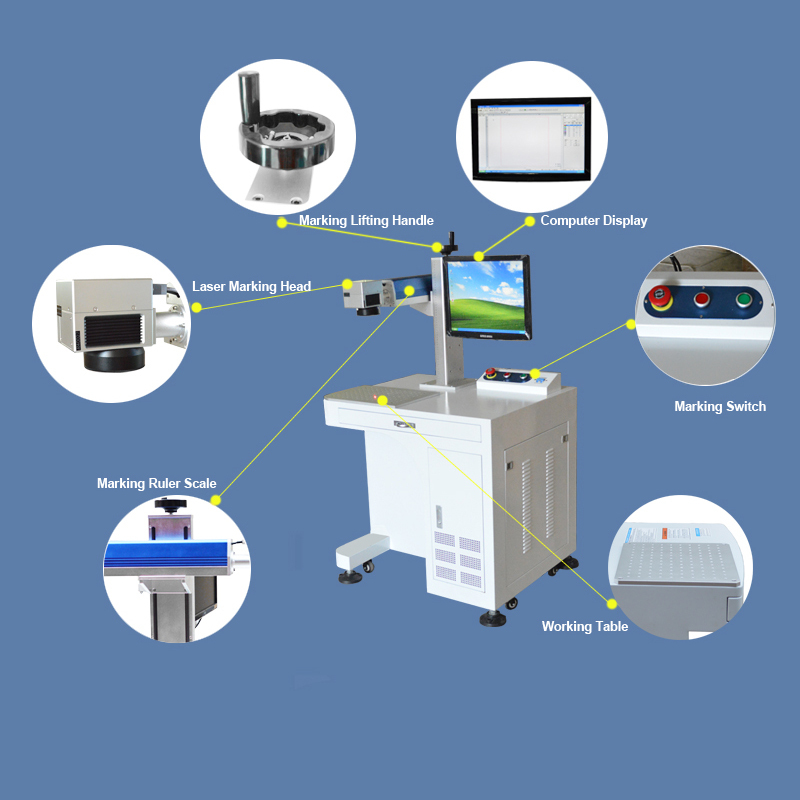 This Fiber Laser Marking Machine is suitable for all kind of metal, industrial plastic, electroplates, metal-coated materials, rubbers, ceramics and so on. 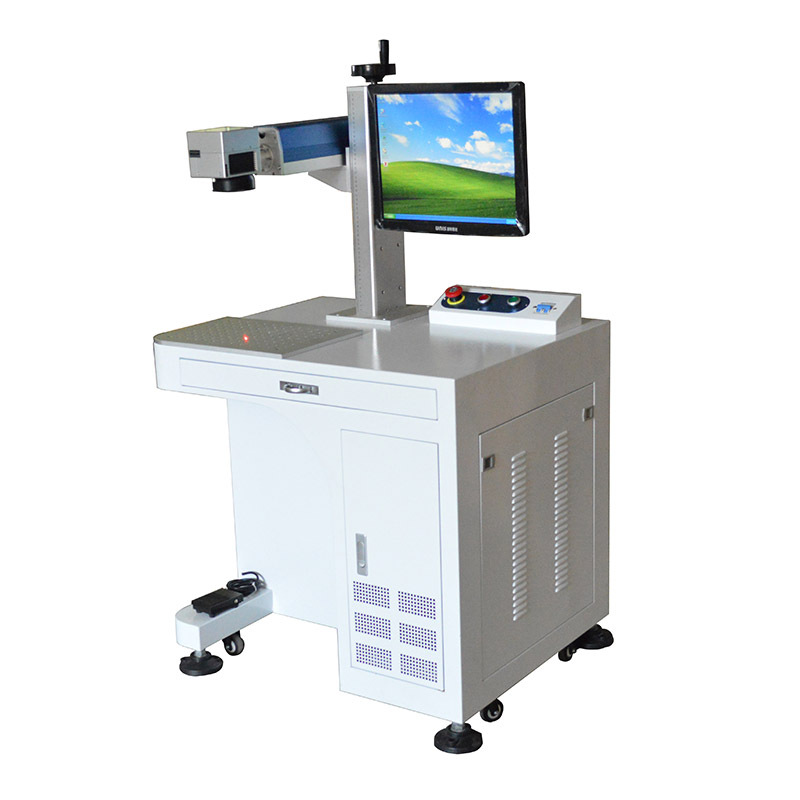 This 20W Fiber Laser Marking Machine is widely used in mobile button, plastic transparent button, electronic parts, IC, tools, communication products, bathing products, tool accessories, glasses and watches, jewelry, button decoration for boxes and bags, cookers, stainless steel products and so on. 1. The whole 20W laser marking engraving machine‘s warranty is 1 year. Any parts have a quality problem during the warranty period, We will send you a new replacement for free. And Customer affords the replacement shipping cost. 2) Where is your fiber laser equipment applied to? Our laser marking machine sell all over the world, such as United States, Mexico, Brazil, Australia, Singapore, Saudi Arabia, Turkey, India, Italy, UK, Germany, Poland, Spain, Romania and many other countries. It is suitable for all kind of metal, industrial plastic, electroplates, metal-coated materials, rubbers, ceramics and so on..